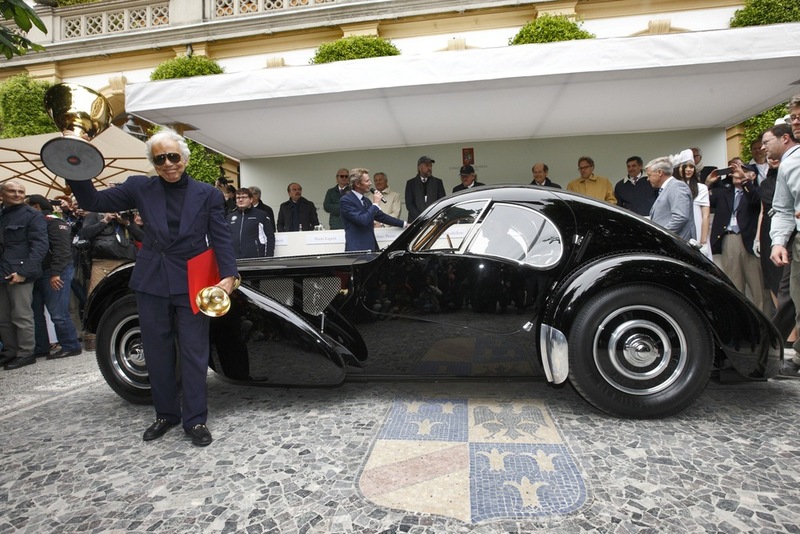 The Jury of the Concorso d'Eleganza Villa d'Este has given the prestigious Coppa d'Oro Villa d'Este award to Ralph Lauren's 1938 Bugatti 57SC Atlantic. It's one of the world's most rare and beautiful cars. I'll be taking pictures at the 2013 Concorso d'Eleganza Villa d'Este tomorrow, but I won't be able to publish them as soon as I'd like to. They will be uploaded somewhere around mid June. In the meantime, you can check out the pictures I took last year.